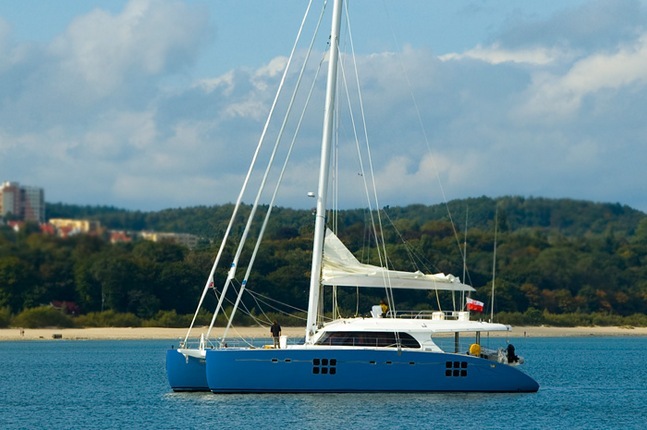 FREE SPIRIT (Ex Mamma Mia) is a luxury private catamaran built by Sunreef in 2008. 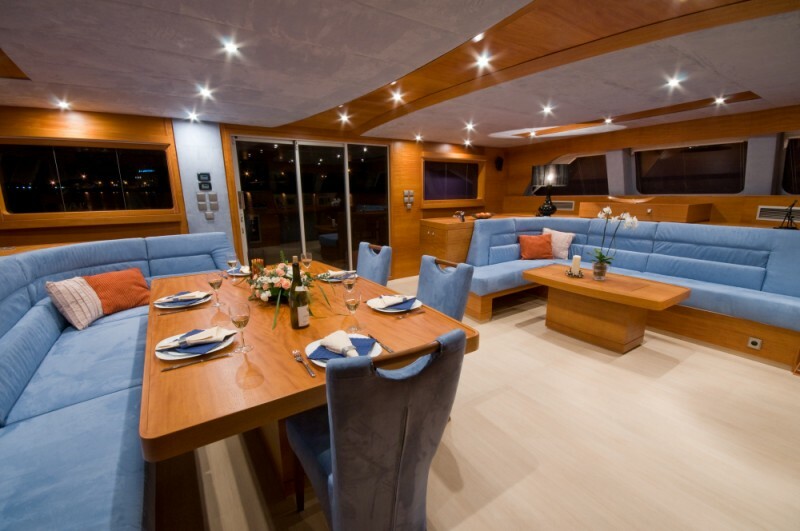 Her stylish classic design offers her guests plenty of room to relax in spacious areas on the interior and exterior of the yacht. 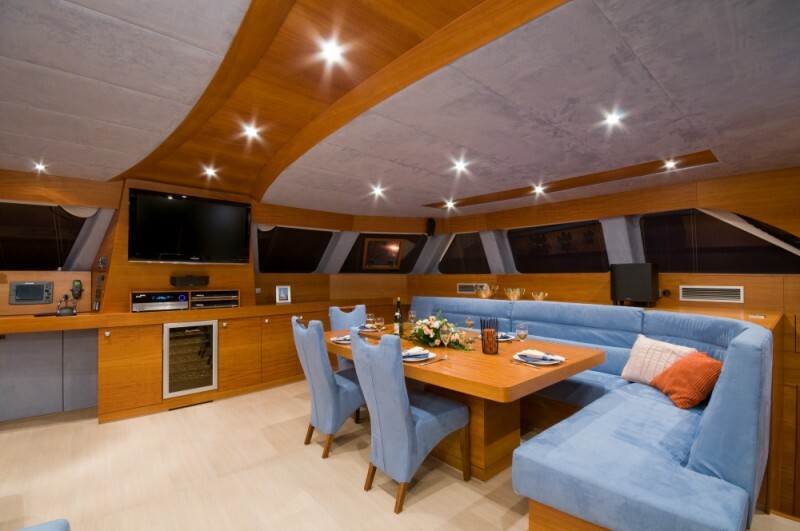 Her light modern interior is detailed in pastel shades of blue to compliment her light blue hull. 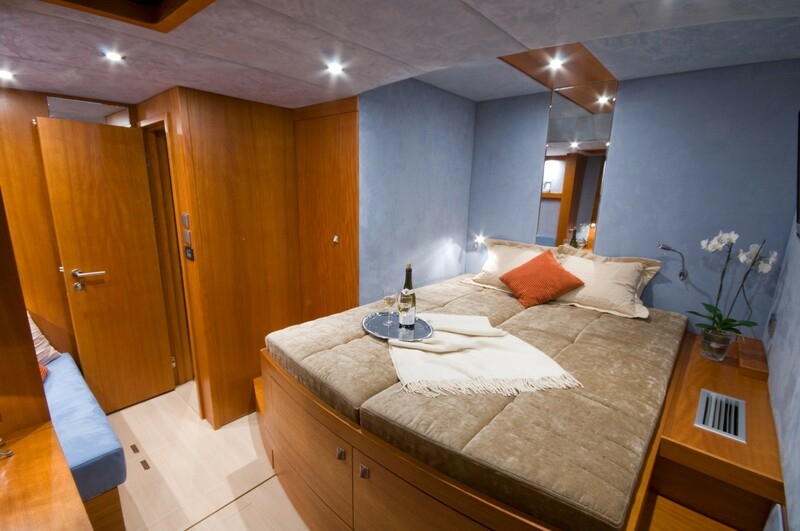 FREE SPIRIT accommodates 8 guests comfortably in four private double cabins and a small twin with upper and lower bunks suitable for small children or staff. 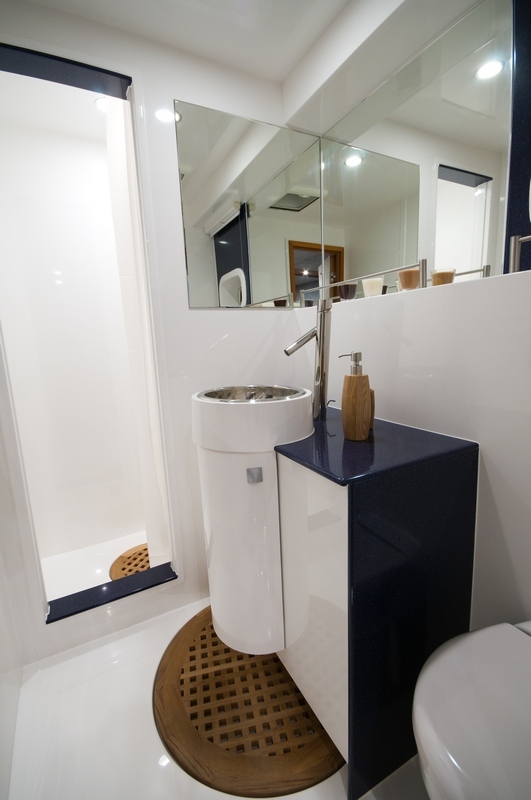 Each of the double luxury offers a private ensuite bathroom and plenty of head room. 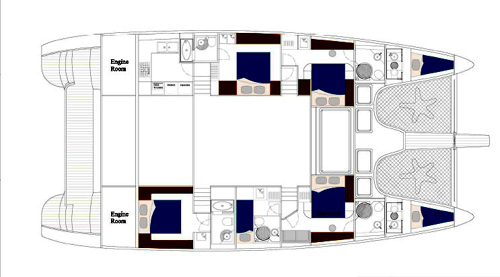 The large spacious saloon offers indoor dining as well as a lounge area and has plenty of space for relaxing and enjoying the panoramic views. 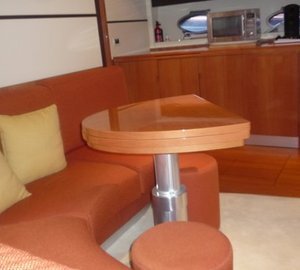 The galley is down opening up the whole salon for guest’s enjoyment. 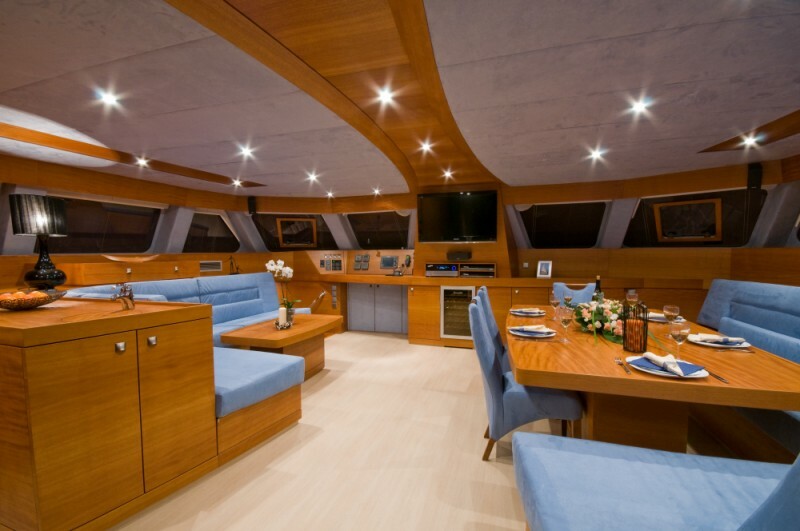 FREE SPIRIT's huge decks are ample and the design has made the most of her 70ft length by adding a fly-bridge that opens up the cockpit area and gives the guests another deck to enjoy the sweeping views while under sail in complete comfort. 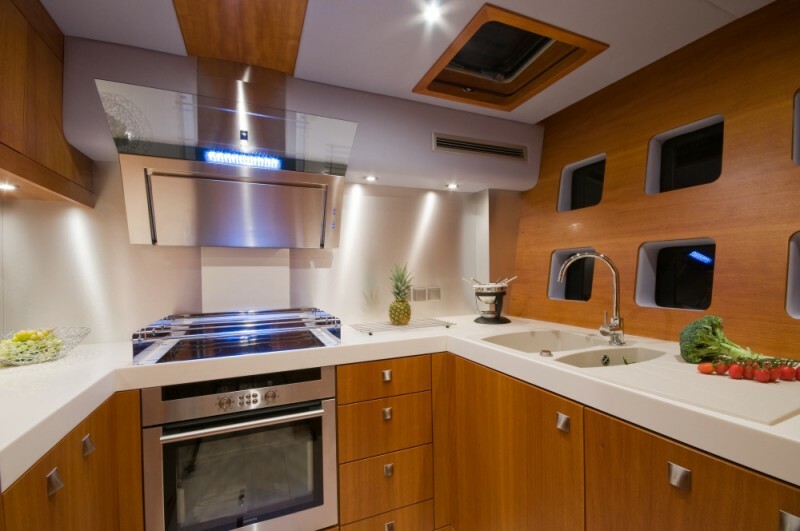 The fly-bridge also offers dining for up to 8 people making it the perfect place to enjoy a wonderful gourmet meal while taking in the magnificent views. 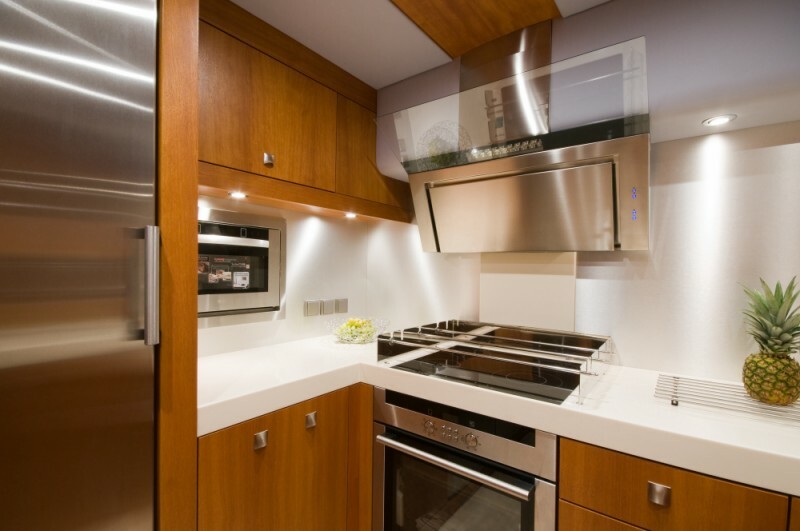 With three dining areas to choose from the hardest decision you will have to make is where eat your fabulous meal. 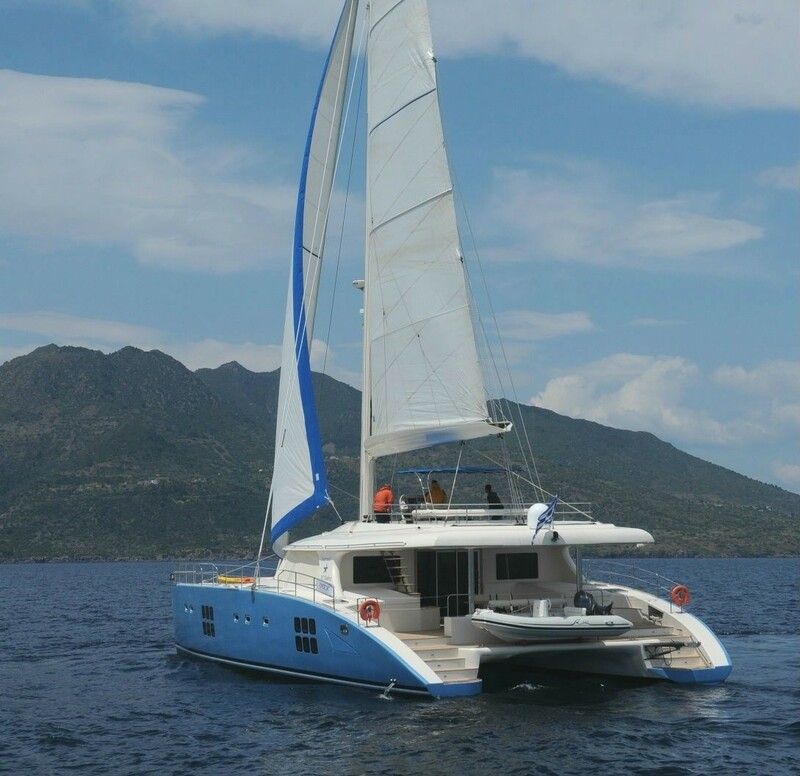 Sit back relax and let your professional crew pamper you and guide you through your yachting vacation in style on board the beautiful luxury Catamaran FREE SPIRIT. 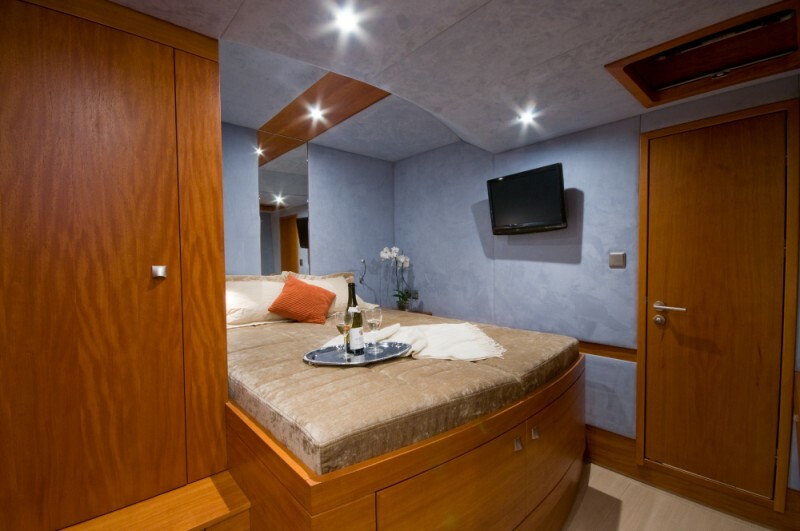 FREE SPIRIT has accommodation for 8 charter guests in four queen cabins with en-suite facilities. 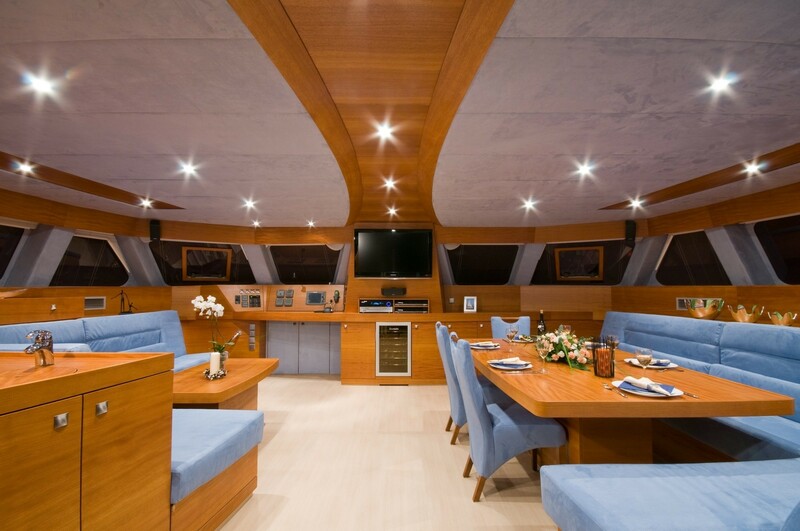 Her galley is down so her large spacious salon offers plenty of space for formal dining as well as a relaxing lounge area.